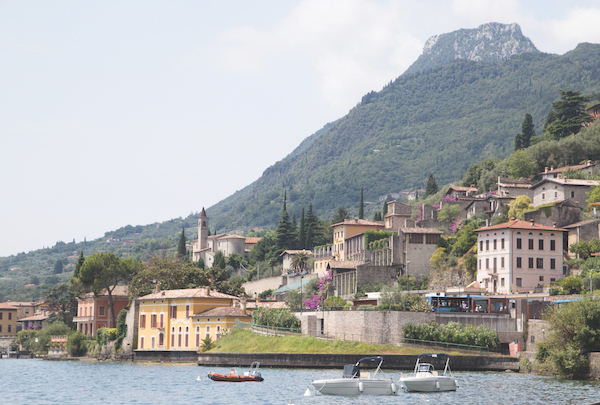 Of all the Italian lakes, it’s Garda – with its enviably temperate climate – that really pulls in the punters. At the northern end (‘Alto Garda’), the blue waters spear into rugged Trentino and the pine-scented foothills of the Dolomites. Travelling south, the lake widens out to 18 kilometres and the cafés and restaurants dotted amid the promenades and marinas have a distinctly Mediterranean style. A miniature Med on their doorsteps is hardly going to be ignored by the shivering masses of northern Europe. Interest in Garda has also been stoked by last year’s Oscar-winning film Call Me by Your Name, which used the famous Grottoes of Catullus as a location. 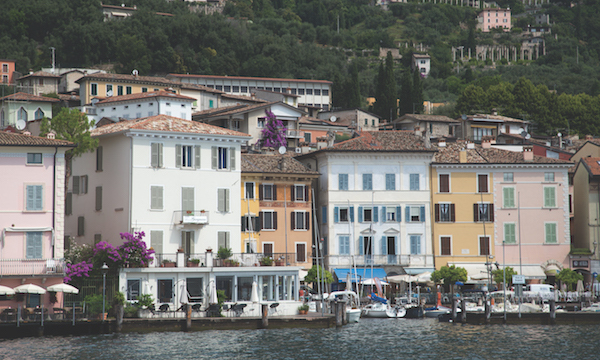 But Garda, with its busy ferries and 150 kilometres of shoreline, does make it easy to flee the summertime crowds and find an entirely new (both literally and figuratively) side to the lake. 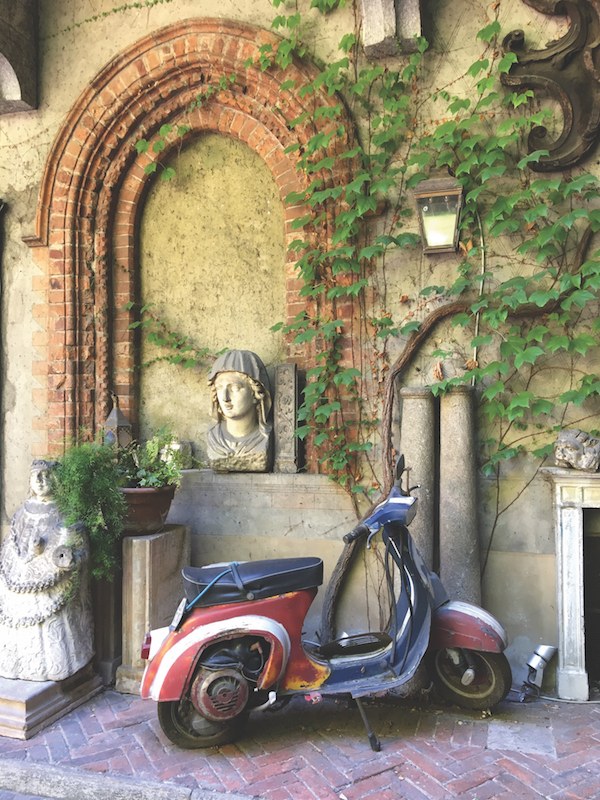 It’s something I discovered on a short visit to the side of the lake that falls within Brescia, a part that felt breezy and untroubled by the deluge of tourism that has the Venetians and Ligurians, in particular, pushing back. And it was centred around two beautiful destinations with intriguing histories. as I disembark, and I sneak a swift espresso macchiato at a seat with a view of the far coastline, the gently sloping mountains turning vivid green as the ashen blues of the overcast morning are burnt off by the strong sun. My reverie is interrupted by a dousing of cold water upon my legs – the wake from a passing boat has slid beneath the pier. Time to go. 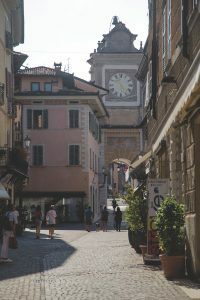 Despite its relative remoteness, Gargnano isn’t sleepy when it comes to history. The grand Villa Feltrinelli – now a super-plush resort with a two-Michelin-starred restaurant – used to be Benito Mussolini’s home during the brief few years when he declared this area the Republic of Salò (more on that later). Less Fascist and more fruity is Gargnano’s role as a preserver of Garda’s sweet-scented past as northern Europe’s main lemon producer, something that was enabled by the unique climate (lemon trees are rare at this latitude). And any local B&B worth its salt will have somewhere in their brochure details about D.H. Lawrence and his then lover, and later wife, Frieda Von Richthofen, who chose Gargnano as a place to live for several months (a plaque marks the house where they stayed). 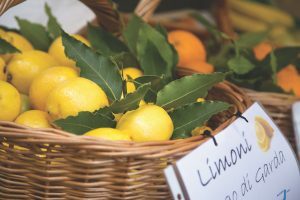 Arriving at the start of the 20th century, Lawrence wrote about the area’s “exquisite scent of lemon flowers”, at a time when some 400 lemonaries (limonaie) still produced fruit on Garda’s steep hillsides. In Gargnano today, there’s only one working example that remains, Limonaia Malora. The renovated 16th-century structure, clambering up a series of stone terraces, is a living museum run by Fabio Gandossi and his family. Led by my tour guide, Maria Pasotti, of enogastronomic tour company Good Food, Good Mood, I enter through a cloud of lilac bougainvillea, marvelling at the deep green leaves of the century-old trees reaching to the roof of the wooden framework. Capers scramble over the terraces like ivy. During the short tour, Fabio shows us the ancient stone channels previously used for irrigation (he prudently employs a sprinkler system today); an original storage house (particularly rare as most have been converted into homes); and the innumerable numbered boards with glass panes that he places, over a laborious two-week period, onto the limonaia frame to create a protective greenhouse for the trees between November and March. The tour is available to allcomers, but as I’m with Maria I have an added extra: an incredible lunch high in the limonaia with immense views across Garda. A bowl of pappa al pomodoro with rich stracciatella is followed by a slice of sbrisolona. On the lake, a swirl of sails marks a regatta. 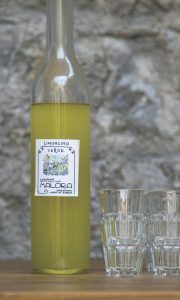 Fabio cracks out his home-made limoncello. A glass or two later I’m buying a bottle, but later regret not picking up his unusual Verde as well – a sharp version using only the green skin of young lemons that could have been a champion cocktail mixer. Speaking of mixers, I also pick up a jar of his lemon jam. 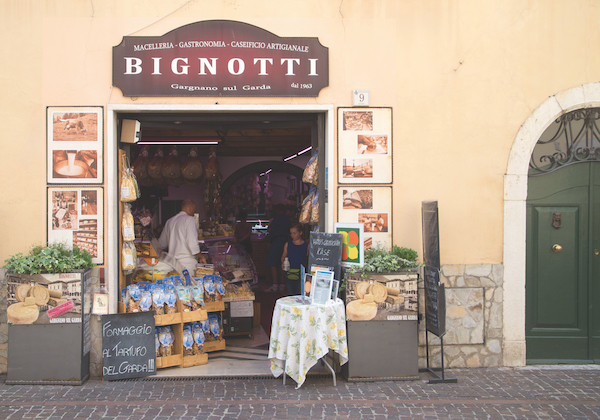 An earlier stop on Maria’s foodie tour saw us dive into the bounty of Gargnano’s Bignotti deli, with a tasting of a handful of the 20 or so cheeses the deli somehow produces in its cramped back cellar. During aging the cheeses soak up the flavours of the lakeside environs which, when paired with a dollop of jam made from zesty Garda lemons, is a true taste of Gargnano (especially good with the local ricotta). To the south of Gargnano is Salò. 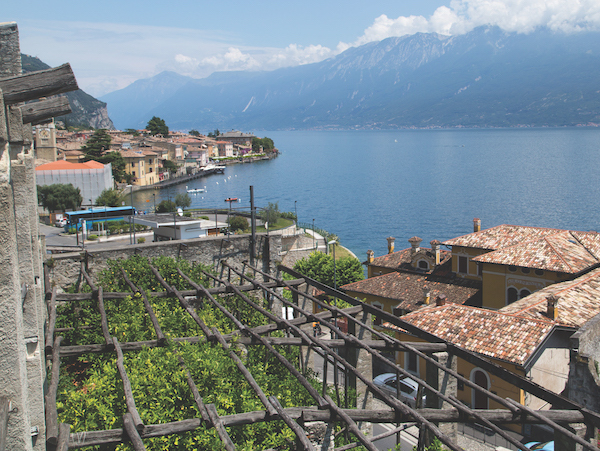 A large lakeside town of pastels and earthenware warmth, Salò is situated on a gulf that shares its name. The pace of life is slow, the marble walkways generous. Locals chat in the shade of the horse-chestnuts lining the long central square, while tourists browse the air-conditioned boutiques lining via Mattia Butturini, searching for antiques or bikinis. The sun is high, and I’ve left my hat in the hotel room, so I’m wandering between the shadows of buildings and cool colonnaded corridors. 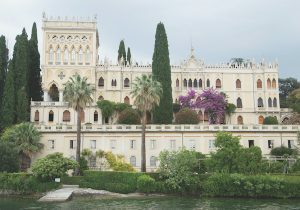 I divert down to the rose marble promenade – the longest on the lake – and encounter a statue of Gasparo da Salò, the inventor of the violin. Magnolias and palms line the waterfront. Here, small boat traffic is busy, and the orange of children’s life-jackets in the midday sun is as bright as flares. Other families lounge in the cafés beating the stultifying heat with heaped sundaes. It’s almost a shame, then, to dwell on a darker aspect of this gorgeous, family-friendly holiday spot. But, like the knowledge that this area lies on a seismic zone (the last significant quake was in 2004), you would barely believe that this water sports idyll also used to be the HQ of Mussolini’s Italian Social Republic (also referred to as the Republic of Salò) between 1943 and 1945. The town doesn’t try to hide the fact, instead labelling the various buildings with multi-lingual plaques that take you on a tour of some of its impressive buildings, generally gathered near the waterfront or the main areas of town. If you’d rather duck into an air-conditioned museum, check out the impressive MUSA (via Brunati, 9) which has a permanent exhibition on the Republic of Salò with English descriptions. But if you decide to walk the streets, procure a map (in Italian, but clear) at the tourist information centre showing the location of the 17-odd buildings. Be sure to plot in a restorative Aperol spritz at Bar Italia, previously Mussolini’s Casa del Fascio, and gelati (especially La Casa del Dolce by the cathedral) for fuel, smug in the knowledge that the queues for ice cream are definitely shorter on this side of the lake. This sophisticated four-star offers excellent waterfront value. Owned by the Bombardelli family, Villa Giulia’s offer modern style and romantic rustic vibe. There’s an indoor pool and spa, and lovely gardens arrayed with climbing roses. The epic lakeside terrace – served by a Michelin-starred restaurant – is torchlit at night. Sited close to the town’s main square – and a popular spot for a romantic night out – Michelin-starred La Tortuga has a seasonal menu paired with a legendary wine list. Expect dishes such as ‘seared scallops served with a cream of borlotti beans and rosemary oil’ and be sure to book to beat those hungry lovers to a table. A dusky blue building fronting onto a marina, Hotel Bellerive is a comfortable four-star with an arty streak. The 100km Restaurant is the jewel in its hospitality crown, drawing on the natural resources of the local area – and the hotel’s herb garden – to put together vivid combos such as the crème brûlée with lemongrass. The staff are sparky and friendly, while the palm-shaded pool area has a nice aperitif vibe. A sophisticated yet homey osteria tucked away in a cellar between the high street and the promenade, Osteria Di Mezzo serves a procession of precise, flavourful dishes, but it’s their interpretation of tiramisù that’ll blow your mind. A bowl-like chocolate filter drips hot coffee onto the dessert sponge before melting inwards. EasyJet and British Airways fly direct from London Gatwick to the airport of Verona Villafranca, although the transfer time by car from Milan Bergamo can also be roughly the same – about an hour. There are regular bus and train transfers to the lake.